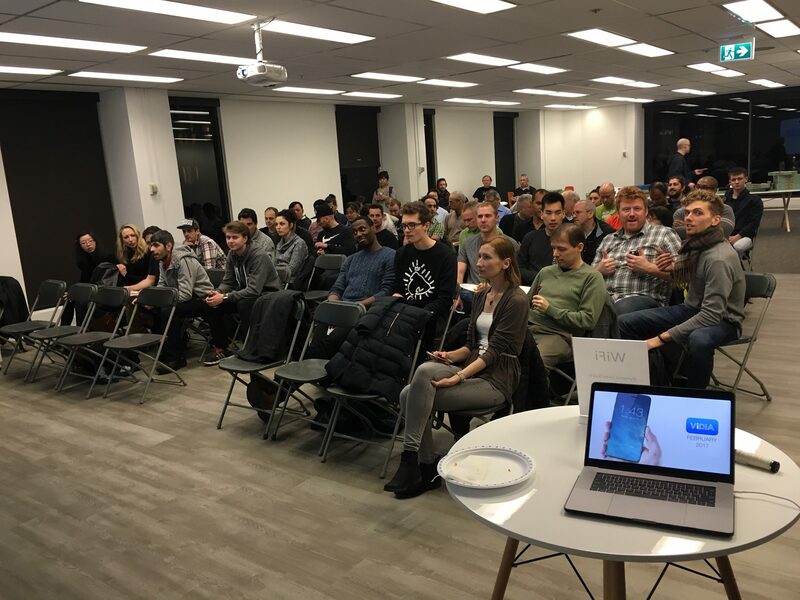 We were pleased to inaugurate the event space in our new office last night with the fantastic folks from the ViDIA Meetup group. 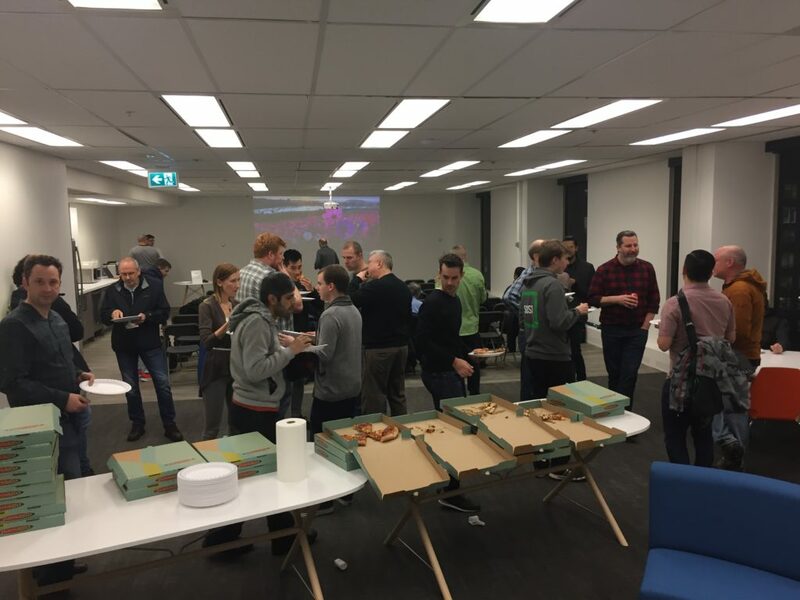 The approximately 60+ people in attendance feasted on pizza (we ordered double by mistake), did some networking, and heard from some fantastic speakers. Felipe Peña spoke on React Native and how it differs from other options for building cross platform apps. 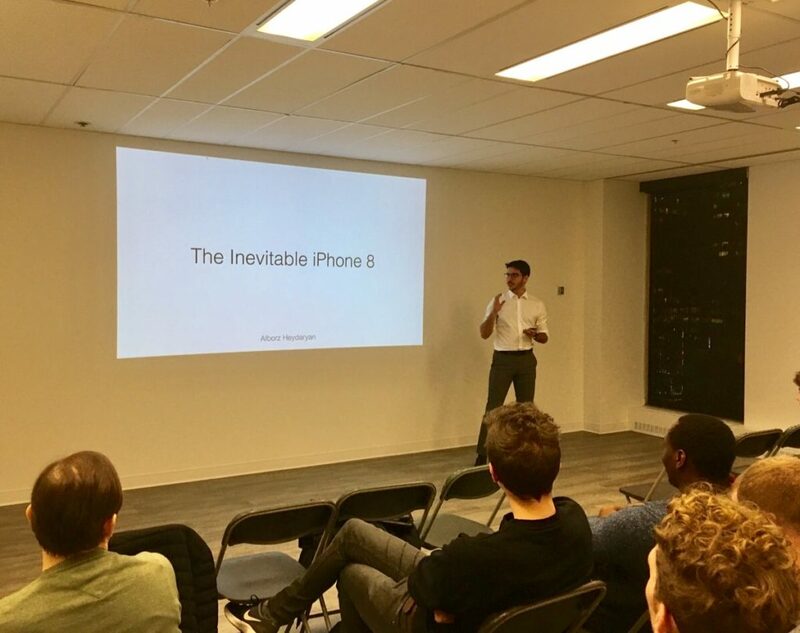 Alborz Heydaryan shared his visionary thoughts on The Inevitable iPhone 8, giving attendees a sneak peak at what Apple might bring to the market when they launch the iPhone 8. Steven Thompson talked about Using Playgrounds in your Projects to test or preview ideas for your app without investing the effort to fully code it. In the “iCandy” portion of the evening, we had a sneak peek from the founders of two soon to be released apps Gather Together and Face Forward. Looking forward to see those launch this year. 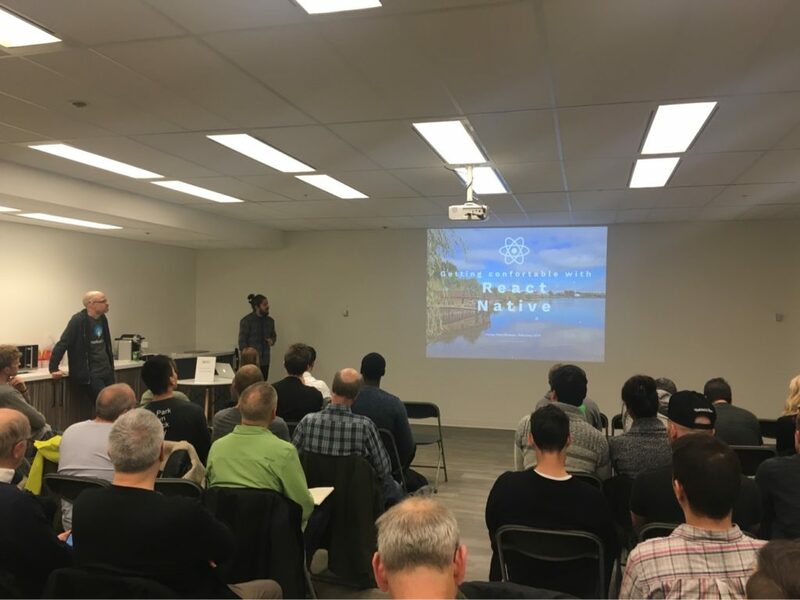 Thanks for joining us last night and if you are interested in hearing about other upcoming events at Dynamic Leap or future ViDIA dates, sign up for our newsletter below.